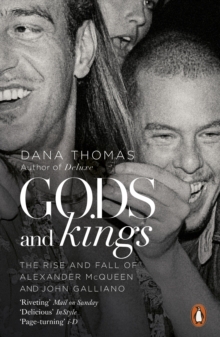 Dana Thomas's Deluxe: How Luxury Lost its Lustre goes deep inside the workings of today's world of profit margins and market share to discover the real meaning of 'luxury'. Fashion may be fabulous, but what's the true price of luxury? From the importance of fashion owners, to red carpet stars and the seasonal 'must-have' handbags, Dana Thomas shows how far illustrious houses have moved from their roots. Thomas witnesses how these 'luxury' handbags are no longer one in a million, discovers why luxury brand clothing doesn't last as long, and finds out just who is making your perfume. 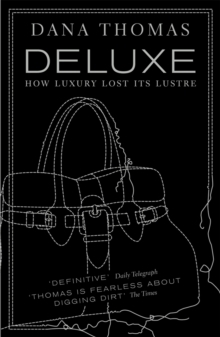 From terrifying raids on the Chinese sweat shops to the daunting chic of Paris workshops, from the handcrafting and economics of early-twentieth century designers to the violent truth behind the 'harmless' fakes, Deluxe goes deep into the world of extravagance, and asks: where can true luxury go now? 'Definitive' Daily Telegraph 'Thomas's message is relevant to shoppers of every stripe' The New York Times 'Thomas explores what luxury meant before the word was both inflated and devalued' Guardian 'Great aversion therapy ... we suspect we're being fleeced, but we don't know with what cynical dedication' The Times Dana Thomas is now European Editor for Portfolio following twelve years as the cultural and fashion writer for Newsweek in Paris. She has written about style for the New York Times Magazine since 1994, and has contributed to various publications including the New Yorker, Harper's Bazaar, Vogue and the Financial Times.